The Discount-System does not apply for the item with the red pencil. All the items with the red pencil items have a short supply. Only the given colors and sizes are available. 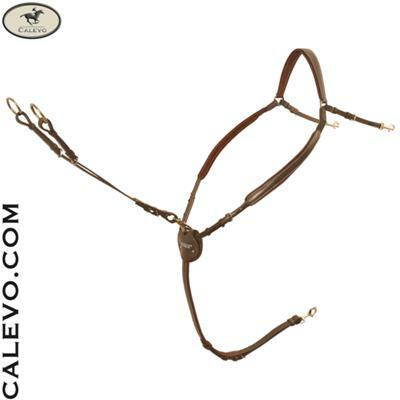 This meticulously-sewn Marcus Ehning Breastplate from Passier�s Basic Line with a removable running martingale attachment was developed in cooperation with Marcus Ehning. The breastplate has particularly soft padding to make sure the horse hardly feels it. Thus the Marcus Ehning Breastplate combines top quality with maximum horse-friendliness. Available with stainless steel or brass fittings. Sizes: Pony, Full. Colors: black, havanna (dark brown), teak (middle brown). The delivery time and availability of the articles with the status "orderable" depends on the manufacturer. All you need to get a discount is a total amount of 200,- EUR in the current year.